Holds two smart phones while charging. 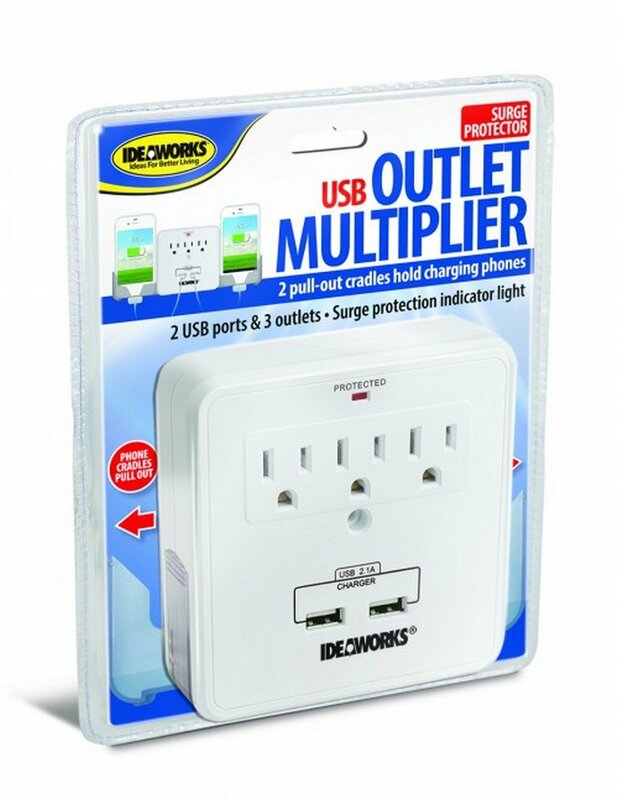 2 USB ports & 3 outlets. Surge protector with indicator light. Provides 540 joules of surge/spike protection. ETL & CETL certification. Attaches to wall standard outlet - no cords required.